Replacement luminare sign. Universal legends can be used with existing luminaries and can be trimmed to suit your requirements. Self Adhesive VinylH.140mm, W.500mm. The safe way. 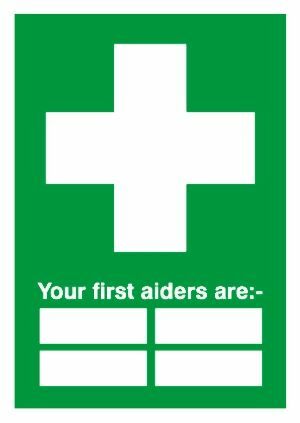 Where to go in an emergency.,All safe condition safety sign designs are guaranteed to comply with the relevant UK & EC legislation:. Environmentally friendly and durable1.2mm PolypropoleneSAV = Self Adhesive Vinyl - easy to apply. Safety and warning signsFor identifying devices, machinery and areas in accordance with applicable standards DIN 40008 / 40021 / 4844.